Design for Six Sigma is not intended to be a standalone process; rather, it should be a regular part of all design activities. As such, design for Six Sigma should be integrated into the organization’s technical design reviews, also known as tollgates, during the design process to ensure that all problems are escalated appropriately. Design for Six Sigma improves customer satisfaction and net income by providing a methodology to institute change, make decisions based on analysis, gather data and ask the appropriate questions. Not using the design for Six Sigma methodology can result in a low return on investment, not to mention the risk of creating design solutions that are not innovative. Design for Six Sigma provides insight to creative processes by examining critical design elements. The focus of design for Six Sigma is to emphasize the usability, reliability, serviceability and manufacturability of the design in order to develop a product or service that meets or exceeds customer expectations and business requirements. Design for Six Sigma embeds the underlying principles of Six Sigma to design a process capable of achieving 3.4 defects per million opportunities. The focus is on preventing design problems rather than fixing them later after they can affect the customer. Define: Define the problem and the opportunity a new product, process or service represents. Measure: Measure the process and gather the data associated with the problem as well as the VOC data associated with the opportunity to design a new product, process or service. Analyze: Analyze the data to identify relationships between key variables, generate new product concepts and select a new product architecture from the various alternatives. Design: Design new detailed product elements and integrate them to eliminate the problem and meet the customer requirements. Validate: Validate the new product, process or service to ensure customer requirements are met. Design for Six Sigma puts the focus upfront in the design/engineering process. The key focus is ensuring the team understands the customers’ requirements and their tolerance to performance variation. To do this, it is necessary to bring the appropriate experts together to engineer a robust solution and reduce the impact of variation. Products or processes do not currently exist. New products or services are introduced. Multiple fundamentally different versions of the process are in use. Current improvement efforts are not enough. Products or processes are broken and need help. Products or processes have reached their limit. Initial process capability limits may not conform to or meet customer needs. Therefore, the design for Six Sigma interactive design process is required to make sure the result meets customer needs, the process becomes capable and the product or service functions as desired. Design for Six Sigma enables teams to understand the process standard deviation, determine Six Sigma tolerances or confirm that customer expectations are met. By understanding the voice of the customer from the onset and using it throughout the product development process, organizations can reduce costs significantly. When changes to a product design are made early in product development, the costs are relatively low. However, the cost to make changes in the product design increases significantly over time as the product moves from research through design, prototype and production – particularly if defective or unsatisfactory products reach customers. Design for Six Sigma has a heavy emphasis on project management. Effective management of resources is necessary to ensure the efficient design of the new products and services. Design for Six Sigma projects are often complex and require considerable resources. Therefore, project management tools are necessary throughout design for Six Sigma project implementation to help meet deadlines and make sure the process achieves its deliverables. Identify key elements of the design necessary to achieve the functionality desired by the customer. Decompose the problem (system) into pieces by considering the system architecture. Flow down the customer targets from the system level to subsystems and components. Identify a set of design alternatives. Select the design alternative that best meets customer expectations. Manage the risks of the design at all levels of the system. Deliver a robust design that is insensitive to noise. Manage the variability in a design. 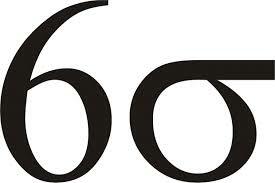 Design for Six Sigma complements the product development process. The voice of the customer interpretation tools are key to design for Six Sigma, along with engineering and statistical methods used during product development. The main objective of design for Six Sigma is to “design it right the first time” by identifying product features and functions that the customer can recognize as being beneficial, ensuring the object of design can consistently deliver exceptional performance. Customers change constantly, and we need to be able to change to meet their needs through innovation and benchmarking. However, we want them to be satisfied right away – and design for Six Sigma practices can make sure your customer is happy the first time around. This will prevent the customer from going to your competitors, and it will gain commitment from them, along with future access to their buying power. Is globalization the next step of healthcare?